The Fourth of July is upon us, and we love, love, love going all out. With the red, white and blue fourth of July DIY’s, Pinterest is looking all patriotic from food to bikinis. 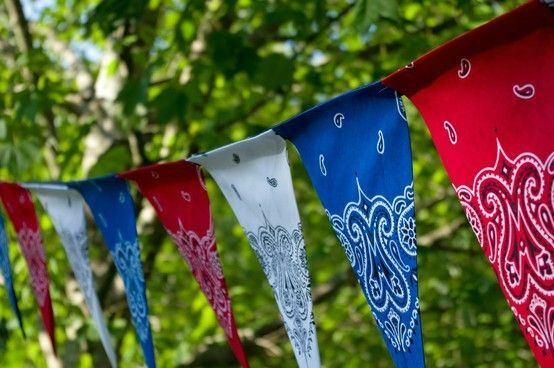 Try out one (or all) of these 15 fun independence day projects and send us a photo of your end project! Could this be any cooler? Pun intended! Kids will love to have these in their drinks without realizing they are getting more fruit. 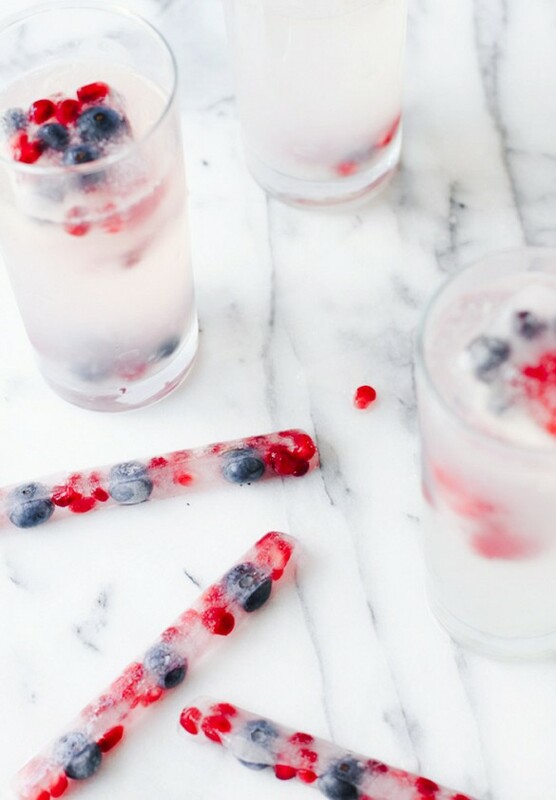 Super easy to make these red, white, and blue ice cubes. Just pack some rubber ice cube trays with fruit, add water, and freeze. We love swirl anything. You could use a combination of any colors to use for any holiday. 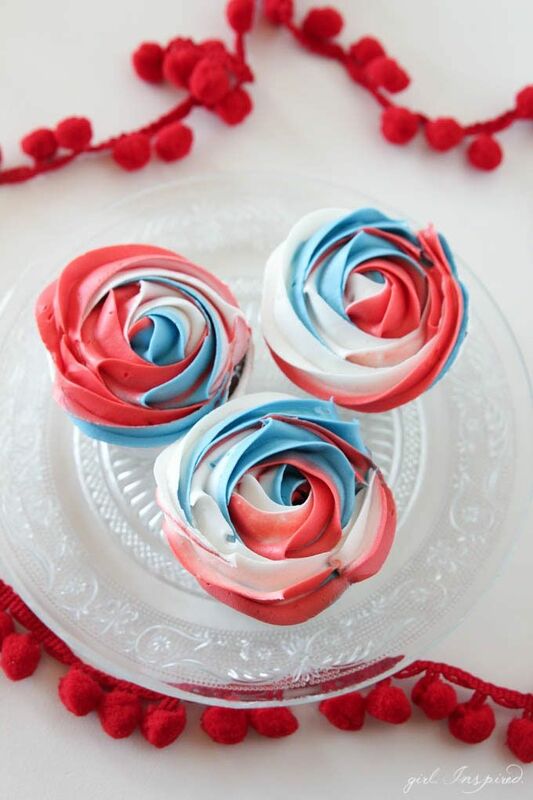 Learn how to make these patriotic cupcakes in just an hour. 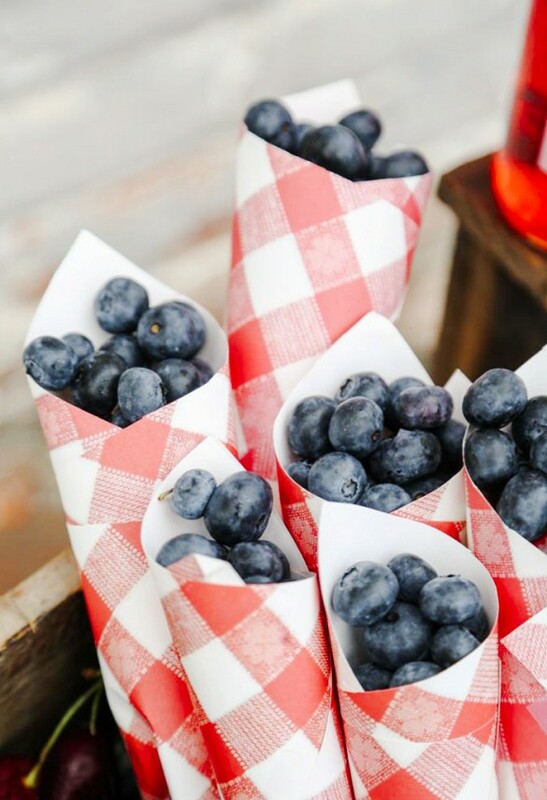 Keep the 4th healthy with these, these simple paper cones filled with blueberries. Just make them by rolling together gingham paper placemats ($16 for 25) and affixing with tape. 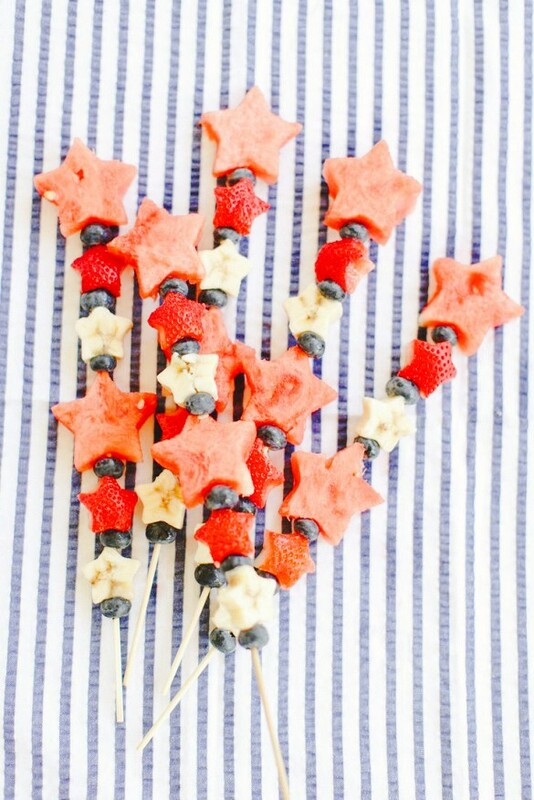 Show your patriotic spirit with these kebabs made with sweet bites of star-shaped watermelon, banana, and berries. We made this drink last year for the 4th and it was a hit! Practice making this patriotic punch the day before, because it is a little tricky. How can you celebrate Independence Day without a pie? 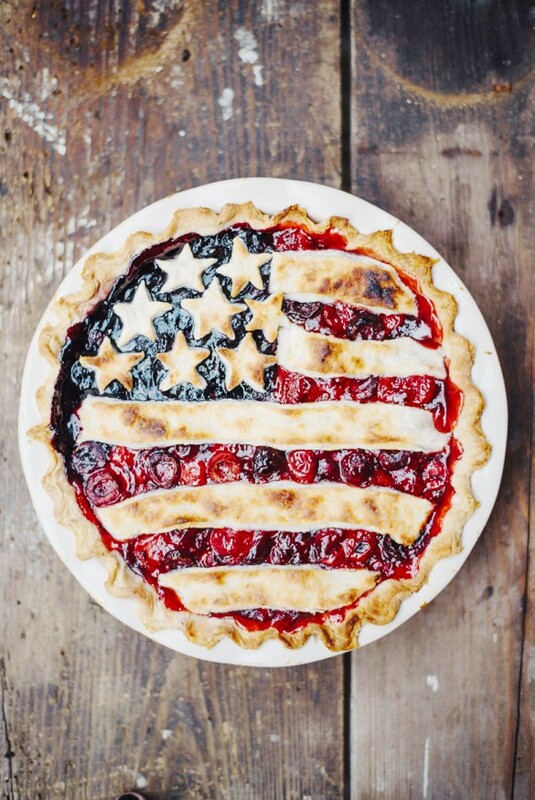 Make it flag shaped like this all-American pie with lemon-butter crust, and you’ll be the star (get it?). We love it’s rustic look and how wonderful it tastes. Sparklers need a packaging too. 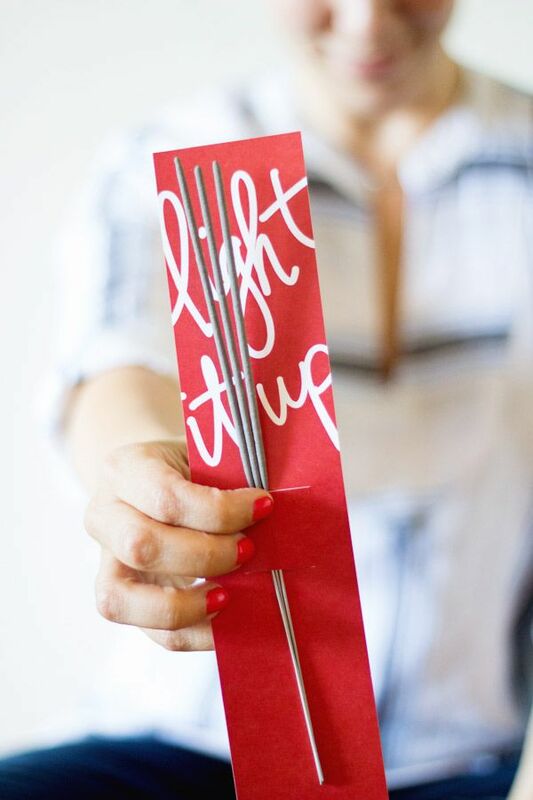 Hand these sparkler cuties out as favors at your 4th of July BBQ. Anyone would wish it was their birthday if they got an ombre cake! We want to go make this right now and make it 10 feet tall-would that not be cool?! Temperatures will be high in this weekend, and popsicles are the perfect way to cool off. These popsicles are almost too pretty to eat-but, we managed! This fast DIY won’t take long to throw together before your 4th celebration. The kids can help with this craft and make it even faster. This adorable craft project shouldn’t just be used for the holiday. Keep these gorgeous flower holders out all summer long. 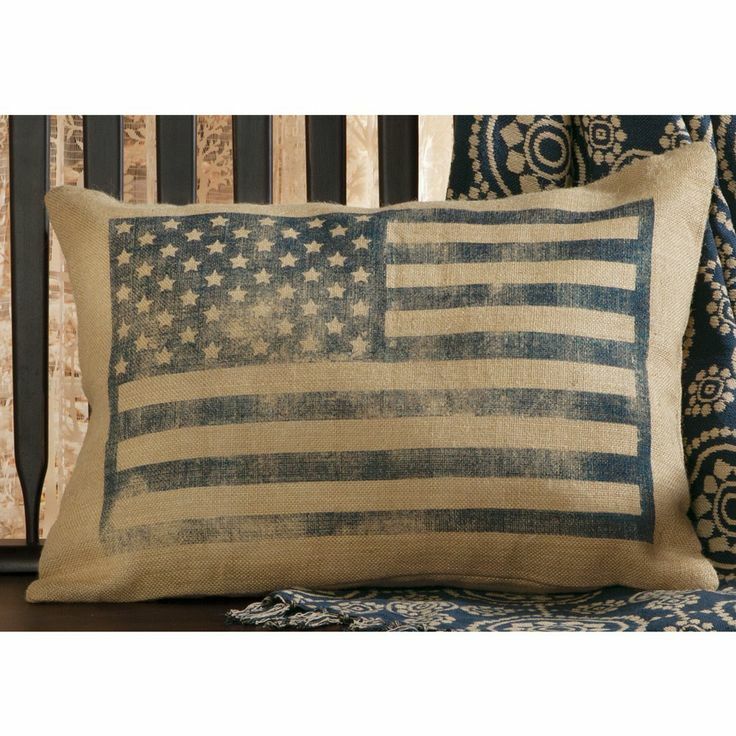 This flag pillow is one of our favorites. We are so making this pillow for our couches this weekend! Oh my gosh! How cute are these little guys? Make some extras, because you’ll end up eating most of them before your guests even show up. Jello is everyone’s favorite treat-for anything! 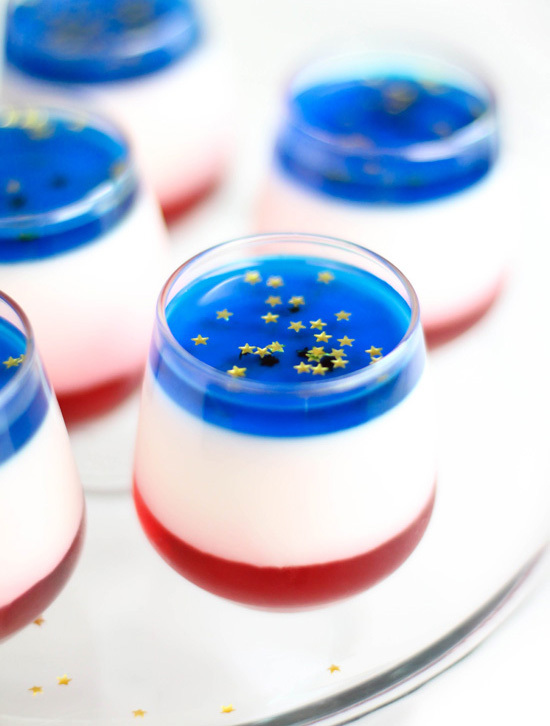 Patriotic jello (with edible stars on top) is the perfect end to a wonderful holiday meal. Bring them out when the fireworks start. Don’t forget your nails! 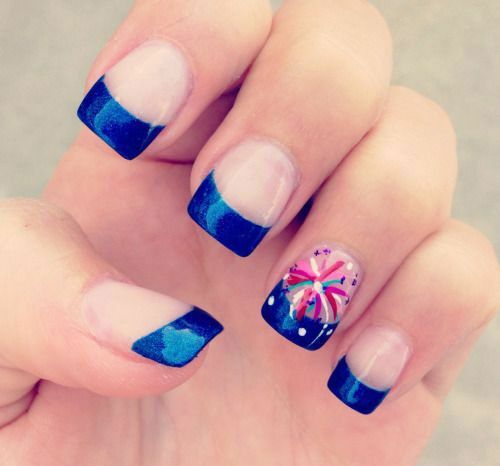 The red, white, and blue on those ten nails are a sure topic to talk about .Try firecrackers, or flags on each nail. Loving this “French manicure” 4th of July style. Those ice cubes are super cool. I think I might make those for our big Fourth of July cookout. I love all these ideas! Those fruit kabobs look awesome and so easy to make. I think I’ll add that to my list to make for tomorrow. I also love the little sparklers printable as the kids love, love doing sparklers. 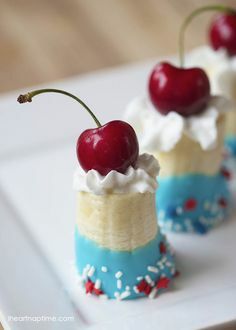 I love all of these 4th of July ideas! 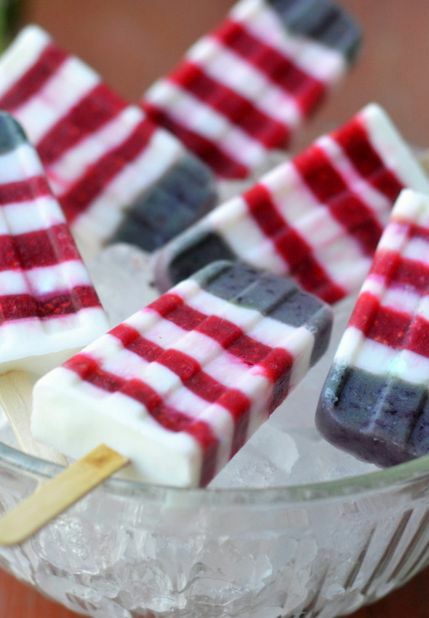 Especially the red, white & blue ice pops!! Those mason jar flower holders are the best! What a super cute way to show your patriotism. Thanks so much for sharing all of these. Love the red, white and blue ice cube sticks for water bottles. Such a fun and tasty way to keep water cold and add color. These are all incredibly cute ideas. I absolutely love that punch. It’s the perfect addition to any 4th of July shindig! I’m loving all the cute red, white, and blue crafts I’m seeing for the 4th! Thanks for the suggestions! These are all such beautiful and fun ideas for the Fourth! I would love just about any of them! I’ve always been a fan of the fruit kabobs, or fairy wands as we call them! 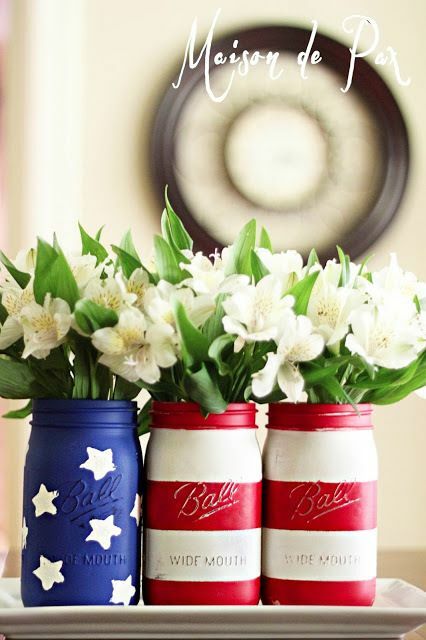 These are such vibrant ideas for 4th of July hosting, thanks for sharing! The fruit kebabs would be a big hit with my kids. That pie looks like an amazing addition to our 4th picnic. These are all great ideas. I just love the fruit ice cubes. Such fun ideas! I think the red white and blue ice cubes is my favorite though. All these are so pretty and great suggestions for the fourth of July celebration. I like to try the panacotta shooters and the pie. I like the idea of those popsicles. My kids would really love those! These ideas are all so super cute. I especially like the fruit kabobs and the patriotic punch since they both look ultra refreshing. These all look amazing! I love that American Pie! These are all great ideas. I am going to try making the pie. I hope mine turns out as good. I have to try a few of these this weekend. I will try the fruit ice cubes first. I love the nail polish design. Wow – These are awesome ideas. I wish I had more time to do some of them. These are all great patriotic ideas. I think I need that ice cube mold. Love those fruit sticks! That patriotic punch actually made me thirsty. It looks really good. I might try it. I don’t know if it’s the punch itself or the old timey mason jars that made me thirsty, but either way it looks really good. There are to many awesome things to pick just one!! I love the mason jar and the fruit ones are great as well. What an awesome and creative post. Thanks for sharing all of the cool information. I love the Red, White and blue pop ice, the nail design, and the kid friendly punch would be a favorite around here. Wow so many great ideas! They all look super great. How fun and patriotic it all is. Love it! I love decorating for the holidays and you’ve got some great ideas here. I can’t believe it’s the 4th already! These are such beautiful ideas. I will have to remember them for next year. 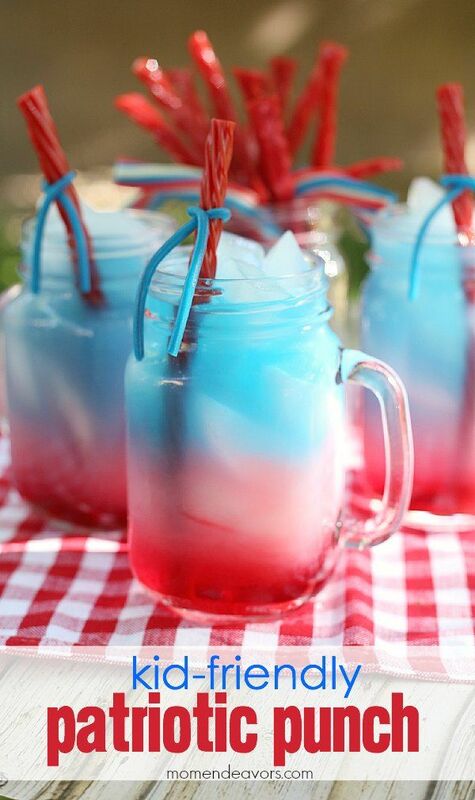 Love the patriotic punch for kids! All the ideas are great though! That All-American Pie sure looks tasty. And it well represents the red, white and blue. 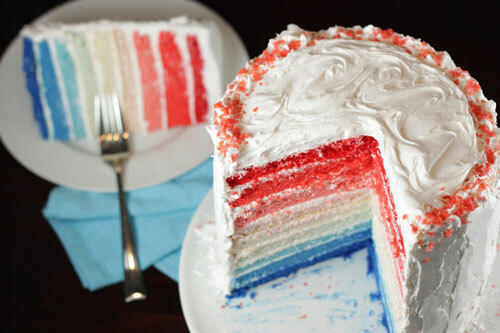 I would like to have some of that for the Fourth. I like all these amazing craft ideas for patriotic day. All these looks so amazing. Patriotic Panna Cotta Shooters, Pop Ice and American Pie are just awesome. I really love the Firecracker Nail art as well. I would love one such mason jar flower holder for my home. Awesome ideas! Especially love the fruit in the ice! I love the patriotic fruit pies! The pastry stars are so pretty! This is a great Fourth of July roundup! I especially love the fruit ice cubes. Great for anytime! I love the red, white and blue ice cubes. That is such an easy and festive way to celebrate these types of holidays. What a great roundup of festive DIY projects! There are so many that I will be pinning. Those ice cubes are totally awesome. I need to recreate those! I like all of these but the ice cube sticks are so neat! I would love to have those in a fruity drink.